I just received SONAR Platinum by Cakewalk and so I am going to try to learn that DAW as quickly as possible. I plan on using some water sounds recorded by Ayal and Mac with their hydrophone and a few other sounds that have come up in conversation to make a sort of drum machine with water based samples. Ideally, we will all be able to use a drum sample from the drum machine to perform live as an ensemble of water based drum sounds. This will allow us to bring a rhythmic and potentially harmonic presence to the moments that constitute the big reveal of the river puppet from behind the bushes. These sounds will be able to be used before and definitely right after the big reveal as well. Someone mentioned the idea that as we played with our drum machine, there could be a master fader that someone can control that would give control over the dynamics of each of our drum samples separately. This would allow for some slight spatialization of the audio out there in the field depending on where the speakers are placed and how they are mapped to our drum sample outputs. This is just the idea in works right now. Again, before I can really contribute any audio, I personally still need to work on learning Sonar Platinum, as it is the only DAW I have. Here is a collection of sounds recorded with our hydrophone. Some of these sounds were recorded in the music school pond, and some were recorded by me and Ayal in the Huron River. The first three sounds are Spencer throwing big rocks into the frozen pond and breaking the ice. You can hear the ice chunks breaking apart and the sound of bubbles. The fourth sound is an active spot in the river where shallow water was flowing over rocks. The fifth and sixth sounds are the hydrophone skipping along fast-flowing water so that it goes back and forth between underwater and above water. The short periods of silence that sound like edits are just the sound of the hydrophone above water. The seventh sound is the rushing water of the dam. The eighth sound is the hydrophone on the surface of a wavy part of the river. You can hear it dip below and above the water. Will Wiesenfeld is the brainchild of electronic music alias Baths. His side project focus is on ambient/acoustic music. My favorite album of his is Mend (below) and I will use it for inspiration for the finale piece. Rachel had the idea too, to use phasing as a means to imitate waves. Her example was the well-known Steve Reich composition "Piano Phase." If you guys have any other ideas, feel free to post below! Hello team! My group consists of Christopher, Becca, Alex from Puppetry, and myself, and we are creating puppets that will process the audience from one station to another. We have all sorts of interesting designs for puppets that have soundmakers or sound technologies attached to them to provide atmosphere. One particular idea we had that I am excited about is a large dragonfly puppet, the design of which is pasted below this paragraph. 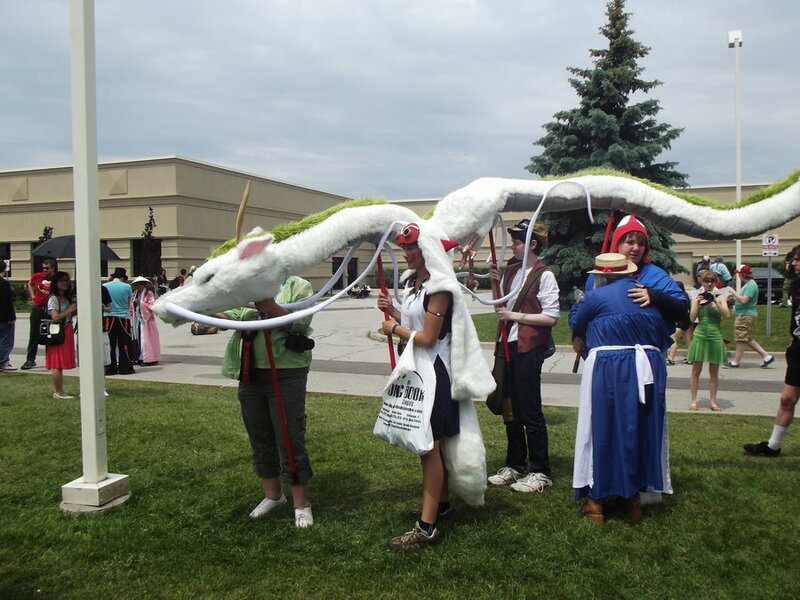 It is a huge puppet, about seven feet in length, with a ten foot wingspan. There is one operator controlling the body of the puppet using a backpack controller, something that Alex seemed pretty excited about experimenting with. There will be one or two other operators controlling the wings of the puppet. What I am most excited about with this design is that the "veins" of the wings will all be lined with tambourine rivets or pieces of metal to provide a shimmery/twinkly/windy sort of sound. I am hoping with a ten foot wingspan, the sound will really create an interesting atmosphere and be an exciting visual for the audience. Right now we are thinking about building the dragonfly using a wire frame, with the fabric that looks like chlorinated water - it's a cool electric blue color that, oddly enough, is actually very similar to the pigment seen on many dragonfly exteriors in the wild, such as the image pasted below. As mentioned by Kate, I am working on a max patch to live process the sound of percussion frogs. 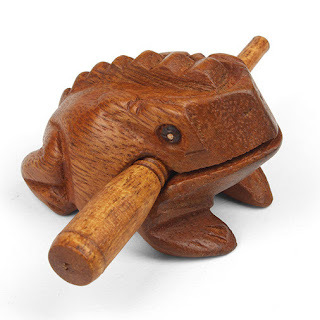 Our basic idea was to turn the sound of one of these frogs into the sound of many, like a chorus of croaking frogs. 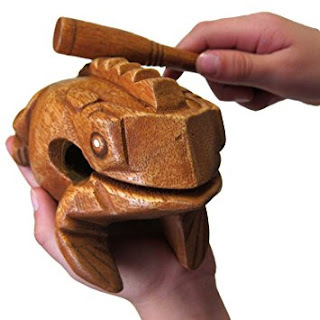 For the beginning of the frog's life cycle, a simple short delay will probably be used with a small percussion frog. However, when the frog is at its adult stage, it will be joined by this "chorus" of processed sound using a larger percussion frog. My initial idea for this was to create multiple delay lines from the same source and vary the delay time slightly. This creates a phasing effect where one frog sound slowly morphs into as many different frog sounds as there are delay lines. In class on Thursday I for some reason felt compelled to try and produce sounds for the river character only using synthesized sound. In recently contemplating more heavily our soundwalk and the direction our group seems to be going in, I realized that at least for the first part of the procession, using some field recordings of natural sounds, processed or unprocessed, might make more sense compositionally. These sounds would not necessarily exclusively be of or from the river, although river sounds will hopefully be utilized. In terms of non-river sounds, my group has been exploring the possibility of recording bells in water. Bells for sale on craigslist are upwards of $700. Does anyone have any small brass bells at their disposal, or any metal things for that matter, that they are ok with submerging underwater? relevant as grounding sound between places and faces? I'm super excited to be working on the life cycle of the frog with Ben and Johanna. We're thinking the scene for the circle drive is going to go through the life of a frog, from tadpole, to adolescent, to a big ol' adult frog. Johanna is building a delay patch in Max, with which we will be live processing sounds of frog guiros. For inspiration for our frog music, we've been listening to Mort Garson's "Plantasia." Watch this crazy video with "Plantasia" on in the background. Wowie. My group is creating puppets that focus on sound and can act as the guides for the procession, leading the audience from one location to another. A great resource I found that shows the kinds of wildlife on the Huron River is this website. If you need any inspiration, I hope this is of use! This piece is largely choral with some strings, and contains a swelling effect within it that I think would be a great concept to work into the pieces we're making (especially since they concern a river). This track is flowing, with high frequencies that accent the flowing chords beneath and add "sparkle," an idea that I particularly like if we're describing a river using sounds. This has some element of felt meter to it, which is something we largely decided against as a group, but I appreciate how the piece seems to breathe, to ebb and flow. The introduction to this song involves various vocal samples with lots of delay and reverb, as well as some lyrics from Ellie. They make for a very interesting introduction; Jennifer and I were discussing the idea of the river "waking up" as part of the beginning of its emergence, and I thought this sort of sound (in some way) might complement that nicely. This track's intro is very similar to "Don't Say A Word," but I really like that distant, verby cry that sounds so washed out. Perhaps if we were to incorporate an actual voice into the piece we're making, we could process it in a similar way? Hey everyone, I just wanted to share some musical inspirations that have been influencing my ideas for the scene surrounding the final tree. I want to express musically not just it's birth, which is symbolized by the planting, but also it's future life as well. I was really drawn to the delicate bell sounds in the intro of this Childish Gambino song, "Me and Your Mama". The second song that I've drawn inspiration from is "Hopeful" by Ta-ku. I love the bare piano intro that eventually introduces the dry strings. This very discreet addition of different elements to me symbolizes the stages of growth in the tree's life. Between the two songs I get a really strong feeling of night time from the Childish Gambino song, and early morning from the Ta-ku song. A part of me thinks this is influenced by the cover artwork for each song. This gave me an idea about expressing the passage of time and seasons with the compositions we make. I think there lies a lot of additional potential for story telling there. Starting to figure out wireless communication with the XBee RF modules, they are talking wirelessly and transmitting data to each other now, the next step is to make it work through arduino. After looking into WiFi solutions, it appears that most projects that use WiFi instead of a different RF module are commercial applications, IoT (Internet of Things, interfacing with the web or with mobile), or home automation projects where a device that sits in one place is controlled over WiFi, usually through mobile or over a browser. WiFi is more power hungry than comparable wireless networks, but this would not be a problem if the device was used in a fixed location. This looks harder to use than XBee imo. WiFi: High data rate (54Mbit/s +) but also high power consumption. Used when you need to connect directly to the internet, such as an internet-of-things device, and have an external power source. XBee: Low data rate (250kbit/s) and low power consumption. Used to make mesh-type sensor networks; each XBee device can communication with each other, and through each other via the mesh to devices that are out of range. 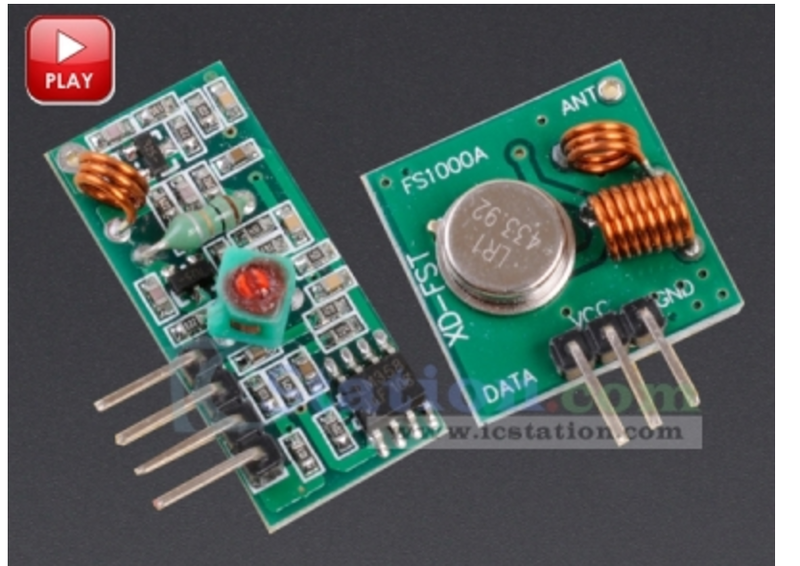 Used for networks of devices, particular home automation and sensors. Link. If we were to use a WiFi device, it looks like the most accessible device we would use is the ESP32 or ESP8266, which is cheap ($9) and has lots of tutorials etc online. It is a microcontroller that can be programmed using arduino. It does less stuff, but would probably do all we need. I found the soundwalk to be a useful and necessary step to take in order to effectively design sound and music inspired by the Huron River. Unfortunately, the loudest ambient sound in the park was road noise, but this is the case pretty much anywhere around Ann Arbor. I think it's important to consider the road noise and other human-caused sounds as part of the soundscape and not to pretend like they weren't there. When walking along the river, I noticed that the river itself does not produce much sound. For the most part, the loudest sounds were our footsteps squishing through the mud or crunching dead leaves and sticks. One of the most important river sounds was the sound of goose calls, which were rather loud and echoed across the park. My favorite sound that I encountered on the soundwalk was the sound of tiny pieces of ice washing against larger chunks of ice, producing a high frequency tinkling sound. 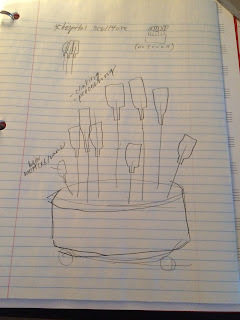 When we met with the puppetry class in their room, I was with the group who were working on design for the dragonflies. One of my peers suggested adding an instrument to the puppet so that as it flies through the air, it makes a sound. This reminded me of the video professor Gurevich showed us in class of the piece which took up all of Central Park. In that piece, some of the musicians were playing bullroarers, which is an instrument native to Australia. The bullroarer, when swung, creates a drone/buzzing sound, as heard here. They're not that expensive, either! They can be found pretty cheap online, and would, in my opinion, be an interesting interpretation of a natural sound and movement of an insect. I was inspired by Stone's post about Princess Mononoke to bring up another Miyazaki film, Spirited Away. The main character, Chihiro, gets trapped in a magical land and befriends a boy named Haku, who also happens to be the spirit of a river. Haku also takes the form of a dragon, which I feel could be some aesthetic inspiration for the river puppet. I particularly like Haku's colors and flowing movements and I think it can be incorporated in both our physical and sonic representations of a river. Researching into wireless data transfer..
XBee would allow us to send and receive multiple analog/digital pins over 100ft (RF) and interfaces with arduino. Would be ~$23 per device. Would need at least two. Medium hard to do some fancy stuff with, but low latency and reliable signal. If we were to go with the idea that I think Kate came up with about having the sounds start off natural and pretty and slowly translate into more synthesized, humanly involved music, then I think this song, minus the vocals and stuff has a sound that could point us towards the more synthesized sounds for water. I definitely always feel a watery vibe when I listen to it. As I mentioned in class today, I really like the idea of puppets that shoot water. I don't imagine it would be too hard to make one if we just use a water gun as our base (function first). With a little bit of that cool fabric we saw the other day, I think that we could make just about any creature we want: frogs, fish, birds, and more. I was searching through Soundcloud to find pieces that could be inspiring to the whole ECM class to set an example of what we could work on music wise. I had remembered this piece that I liked on my Soundcloud stream that features river and water sounds along with ambient piano which sets a relaxing tone. The last two links have interesting sampling elements and synth textures that I am personally interested in. Any one else interested in working with composing for the river puppet, feel free to chime in or talk to me in class about it. Another thought, I think the sound walk could be very beneficial to us if we plan it wisely and do extensive research before we go. Research meaning, where we could find a good place to set up along the river, and what species or things we should record. I also think footsteps on a wooden bridge along the river would be cool to sample. 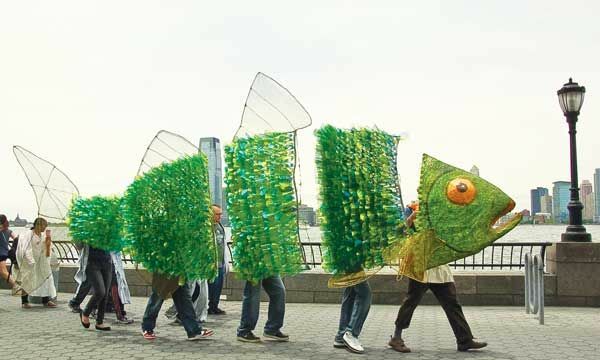 If we had unlimited resources, we could invest in some fiber optic fabric to incorporate into the river puppet. I believe there is a way to create a similar effect affordably. We just need some RGB LEDs, a power source, and a big spool of this stuff. We can use the fiber optic cable however we want! I'm so excited to be creating music inspired by what inspires me most: nature. I was browsing through my music trying to find music that emulates that, and I think these songs are a good representation of what I had in mind when brainstorming ideas for compositions. I'm thinking about making music that utilizes a lot of samples of nature sounds. I'd like to focus on getting as many water sounds as possible, and also try to capture the sounds of different lil critters. As Shlohmo does in these songs, the samples would function like an instrument, making up the beat and melody. Hey team! I'm super stoked to be working on this project with you all. I think we have the potential of creating something really beautiful together. I've been drawing a lot of inspiration for my ideas form the Studio Ghibli film "Princess Mononoke" lately and was hoping to share some ideas that have stemmed from it. I'm sure some of you have watched it, but if you haven't, in the simplest of terms it's a movie about human's relationship with nature and their balance with one another. It's by the critically acclaimed director Hayao Miyazaki so you know it's good. When thinking of the river character, the forest spirit from the movie came to mind. In the movie, the forest spirits acts a god of life and death. It's footsteps sprout life, yet just as quickly as the plants bloom, they soon wither away and die. It has the power to give and take life, much like the power of a river as well. I think both conceptually, and aesthetically the forest spirit is what my vision for our river character is. The star-like spots of light within its body reflect the idea I raised of incorporating LEDs into the body of the river puppet. Also, in the movie there are these small minor characters called "Kodama"
These little guys don't really have a huge role in the plot of the story, but they also represent the life and spirit of nature. Their head rattling gives them a sonic character and I think for our purposes, a similar identity could be made to give our representation of nature a more literal presence. Whether physically with puppets, small like the Kodamas, or just sonically, I like how these small character can represent nature more than just plant and animal life. During class today, I became intrigued by the thought of creating a cattail installation after Spencer, Becca, and Camille presented some of their ideas (one of which was the aforementioned reedy plant). I then spoke to Camille a bit more about her idea and she mentioned a sculpture in the UM Hospital that resembles a collection of cattails, and although it is noted that you are prohibited from touching the installation, if you interact with it and get the heads of the cattails to strike each other, they create a beautiful gong-like sound. We were then playing around with incorporating pollution elements into this installation, and we ended up designing a wheeled structure that features multiple stalks with some trash item (like a beer bottle/can) as the head of each "cattail" - perhaps the sound of this installation has to do with the items scraping against each other or putting pressure on each other. We also considered some sort of visual element, like LEDs running up and down the stalks of the cattails. 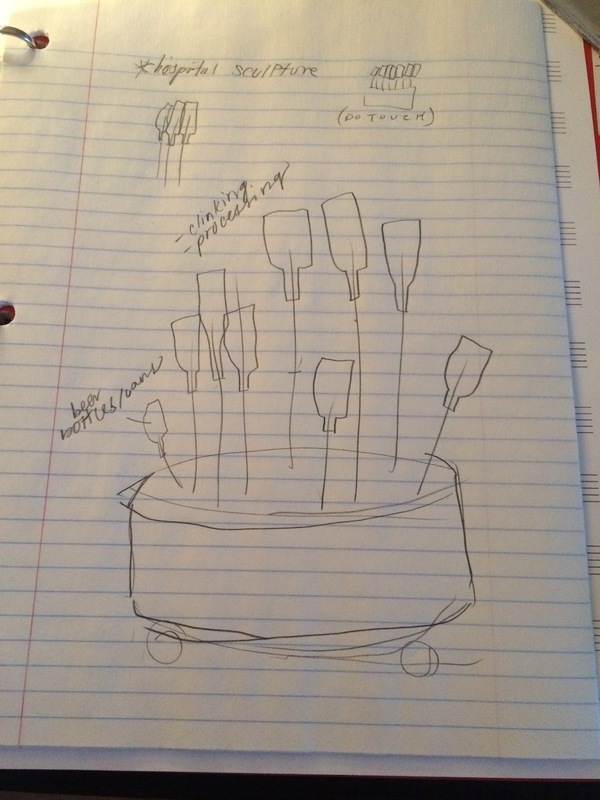 Below is a quick-and-dirty sketch of our idea. We were a bit stumped beyond this idea, so when I got home following class I decided to look up some installations centered around cattails on Youtube. Amongst the many, many videos of people discussing how to grow, kill, and even make stew out of cattails (??? ), I managed to find a collection of various :40-1:00 long videos of cattail-oriented installations, most of which featured little explanation. Nonetheless, one aspect of each video I found inspired me in some way. The first video is about an installation featured in Coachella 2013. This is by far the most explanatory video I found. Essentially, the installation is a forest of many tall stalk-like pillars with colored orbs of light bulbing from the tops of the stalks. These lights change color based on information scanned from the wristbands of the people walking around the installation. It's pretty neat, and I liked how they incorporated audience interaction into the installation in a subtle, passive way that was very aesthetically pleasing. Check it out. The second video is the funniest one to me, because it is essentially a guy hitting 64 vertically-oriented steel rods with sticks, and he doesn't really sugarcoat that fact. The frequencies produced from the striking didn't really interest me that much or feel unique - I only liked this installation because I was interested in how he engaged with the structure (hitting it with sticks). Camille had also mentioned perhaps the ability to take the cattails from the structure and strike other things (an A Little Mermaid-inspired idea), which I also thought was really interesting. As we think more and more about audience participation this gives me some ideas. Check it out. I have little to no idea what the final video I found is about. All I know is that this installation is called the Bulrush Project, that is was created by Andrew Von Schie, and that it was exhibited in early August of 2012. Von Schie posted 5 or 6 :40 second long videos about the installation that don't really explain what it is about. I think the lights on the end of the stalks are triggered by the water in some way, or perhaps they are light sensors, as during the day they are not lit. Either way, I thought it might be cool to have our installation engage with water in some way by incorporating water sensors, and this video gave me that idea. Check it out. Our first class reminded me of and helped me rediscover an artist called Mileece who I was heavily inspired by last year. She is a self-described sonic-artist who sonifies interactions between plants and humans using SuperCollider. She does this by measuring plant "bio-emissions" with electrodes connected to her computer and converting this data into a sound in SuperCollier. When a human interacts with plants by touching them the measured bio-emission changes, so in a sense she can then perform a piece alongside plants. She explains her process in a much more inspiring and beautiful way in the video link below. She also talks a little bit about her opinions on plant sentience. I think interaction between the environment and humans is key in the scope of this project, and I think this is a great example of electronic music that conveys the importance and impact of this interaction. On a different note, I took a gap year two years ago during which I studied a design system called Permaculture. I mainly used Permaculture in reference to sustainability, agriculture, and community life during my gap year, but I am inspired by the possibilities Permaculture has to offer outside of this realm, specifically within music, where it is also intended to have an impact. I find the ideas within Permaculture especially relevant due to the ecological focus our project has. Found some cheap RF Tx/Rx modules that could be used to send digital data up to 40meters. Perhaps this could be one of a variety of wireless solutions.. Or if we find a niche use for something we want to sense far away. They are cheap, let's buy one and mess around. The first 20minutes of this performance has some incredible puppeteering where there are five people controlling a little cardboard man puppet. While watching I gained some insight on the intricacies of the movement of the puppet and wondered what a sonification of those movements would be. Also, what analogy is there from 5 people controlling one little puppet to all of us creating some piece of music that ostensibly will not have the same number of parts as we have players. (can be accessed with umich log in through the library) The dance company Kidd Pivot will be here on March 17th&18th. Here is a video explaining how to setup two Arduinos to communicate wirelessly with each other. And here's a link to the instructions: http://www.instructables.com/id/Long-Range-18km-Arduino-to-Arduino-Wireless-Commun/. This could be useful if we want to have one Arduino inside of a puppet sending data to another Arduino outside of the puppet. I've never really worked with Arduinos before, so a lot of this stuff is totally new to me. Hopefully this is somewhat useful though. I happened to rediscover the artist Erutan today, so I thought I would share, as I thought it was good inspiration for our performance. Erutan's style and instrumentation, for me, brings out strong imagery of forests, rivers and beautiful scenes of nature, in a way in which each element of nature, even water, is alive. Perhaps this style is too much for our performance, but I figured it would stretch our minds a bit for ways to portray nature in music. If you haven't heard Erutan, I recommend listening to the album "Raindancer" to get a sense of her music. Even the pieces in this album that aren't directly about nature, such as "No One But You," are still very nature-driven, portraying scenes of complete serenity. If you don't have time to listen to the full album, I suggest listening to the songs "The Willow Maid," "Winter Moon," "Song of Joy," and "Raindancer." "The Willow Maid" is really a story told through the music. If our performance ends up being story-driven, this could be inspiration for how to portray the story. The song "Raindancer" has some recordings of birds chirping and thunder playing throughout the piece -- a very subtle mix of natural elements and instruments. "Winter Moon" is another story-driven song, based on a Japanese myth. And "Song of Joy" I recommend because, well, I just like it! You can listen to the pieces here for free: https://erutan.bandcamp.com/album/raindancer or on Spotify. On the BandCamp website are short descriptions of each piece as well! Miniwanka is a choral piece that is based on water. Throughout the piece, different forms of water are represented in different ways. Because our class is tasked with creating something based on the Huron river, I thought this piece could show a unique way of portraying water in music. The Yellow River Piano Concerto is a piece interpreted from Xian Xinghai's Yellow River Cantana. I think it exemplifies some beautiful ways to interpret a river through composition. Obviously, there's nothing electronic about this piece; however, I think it's still a great source of inspiration showcasing the many changing moods and currents of a river. My favorite moment is probably the cello soli at the beginning of the second movement. Last class, people were expressing one confusion as to how one might make a puppet of a river. I was thinking about it, and I realized a good approach might be a puppet similar to the dragons found in many Eastern Asian parades. Of course the puppet would look like water, but it could still operate in the same manor. Here's a video I found which demonstrates well! The puppets can be found just after the first minute. ECM WINTER '17 LET'S GO! Great to be back at it with a talented group o' kids. I can't wait to be inspired every Tuesday and Thursday from 1-3PM again. Kid Koala is who I want to become someday. So, sorry Stone, but you're not writing about him. For those of you who are unfamiliar with Kid Koala's work, here is a pretty long (15 min, can you handle it?) video about his current touring work Nufonia Must Fall. Professor Gurevich talked about him briefly during class. A stylish website with a Soundcloud page embedded on the homescreen pops up. Looks about right, I say to myself all alone in my apartment. I click on Kid Koala's Soundcloud and let the tracks play one after the other. The tracks were all electronically based. Most titles included the words 4 bit, 8 bit, 16 bit, and even turn table. I felt indifferent toward his work at first. I didn't know that Kid Koala wrote graphic novels yet. I didn't know he was a turn tablest, an electronic instrument collector, a string quartet composer, and a world famous touring artist yet. All I knew was that Kid Koala made techno back in the day. Strings weaved their way through my Audio-Technica M50x headphones (not sponsored, just appreciated). The saddest, whiniest, most heart-wrenching strings slammed my heart like a bowling ball shooting down a runway and ripping apart a perfectly shaped triangle of pins. The strings shoved me right out of my chair. I landed on the cold, hard ground. I'm still alone. Alongside the strings played electronic accompaniment predominantly controlled by turn tables - a perfect blend of acoustic and electronic. The song was called Melancholy / Cinematic - Main Title Theme open your book - Kid Koala Production Music Library. Succinct title. Kid Koala uses this main title theme for his graphic novel soundtrack Space Cadet. I want to talk about Space Cadet's soundtrack because I think it poses an important concept: consistency. The soundtrack is predominantly comprised of strings and piano that are distorted or thrown through a vinyl plugin. A listener recognizes these sounds every time. That specific static piano sound. That specific warped string sample. Kid Koala uses the repetition of timbral themes throughout the entirety of the soundtrack yet never repeats a single melodic theme. Still, every song on that soundtrack always screams Space Cadet. Every timbre from that soundtrack always screams Kid Koala. When you're scoring for a story that progresses with the same characters, the same scenery, and the same plot, your music should progress with its reoccurring elements as well; not change at the blink of an eye. I think selecting our sounds wisely for not only one song but for the whole production is something we should consider while choosing how we score this production. Nufonia Must Fall sells as a printed graphic novel, CD, and digital copy wrapped up in plastic for $30. The soundtrack is much more "tech" sounding than Space Cadet. During the live stage performance of Nufonia Must Fall, Kid Koala samples jazz vinyls and messes with the brass/wind instruments live while his tiny yet powerful orchestra plays around him. His piano sound is completely different than his Space Cadet one. It's deeper and sounds more like a rhodes. Space Cadet's piano sounds tingy, and it's smeared with reverb. The same instrument, a piano, but they sound completely different depending on which story Kid Koala is telling. Beautiful, right? Kid Koala blows my mind when it comes to not only his storytelling but his use of blending eclectic instrumentation. Broken toy xylophones from elementary schools should not mix with turn tables and violas, but somehow he makes it work. Space Cadet's soundtrack is more up my alley, but I think Nufonia Must Fall's soundtrack might apply to our class better. 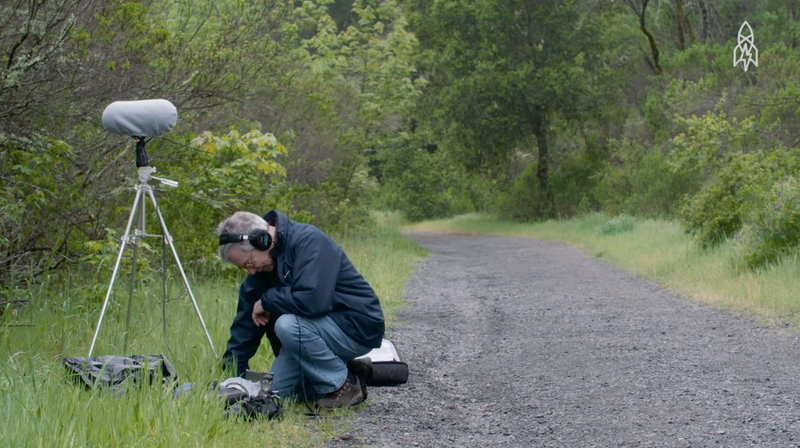 The sonic landscape is more electronically developed and offers chances for listeners to explore soundscapes. As we embark on a new adventure working with puppets and the theme "The River in our City, The River in our Veins," here are some initial inspirations. John Luther Adams, "Music in the Anthropocene"